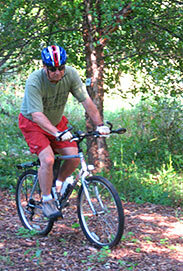 Cycling (biking) has become a very popular sport the last few years because it allows the individual to decide whether you want to go around the block, go trail riding, join a bike club, or do some serious long distance rides. There is certainly a large group of riders over fifty enjoying this sport, and there are some areas that should be addressed. Email us your favorite cycling stories!